Elementary Spring Pictures are scheduled for Tuesday, April 10, the second day we return from spring break. 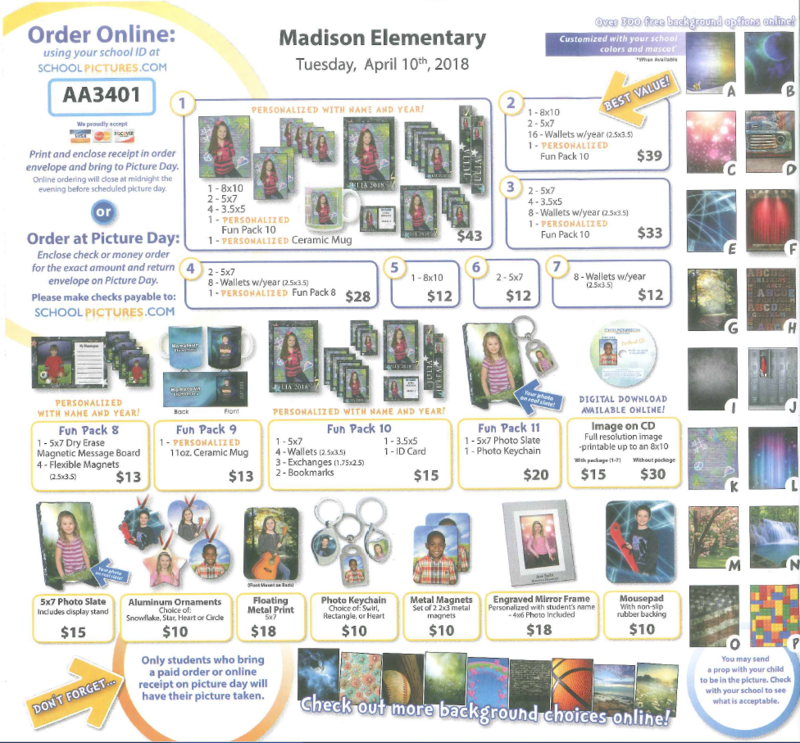 You can purchase pictures online at schoolpictures.com with the code: AA3401. Photo package choices are shown on the attached flyer. Physical copies of the flyer and order form will be sent home with students.